The VL4000 Spot has the ability to select two different output levels, Standard & Studio mode. The Standard mode boasts 33,000 lumens while the Studio mode outputs 25,000 lumens. The Studio mode also operates in an ultra quiet capacity. High resolution optics ensure remarkable center-to-edge focusing, an extremely flat and even field, as well as an unprecedented contrast ratio. A 5:1 zoom ratio covers an amazing 9 to 47 degrees without sacrificing output or clarity. 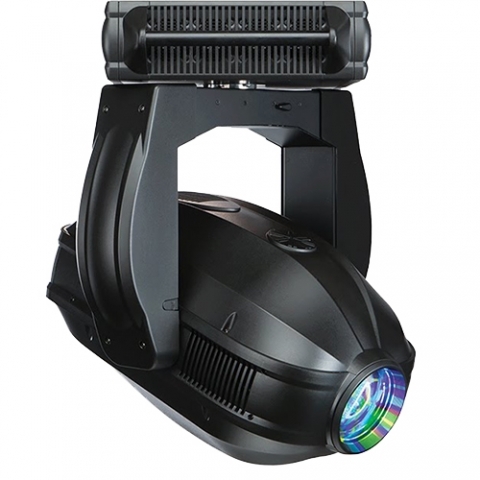 The VL4000 Spot luminaire features dual rotating gobo wheels, each with seven patterns plus open. A remarkable new collection of optimized gobo patterns for both aerial and projected imagery provides unlimited possibilities. Zoom Optics: A 12-element 5:1 zoom optics system, covering a range from 9 deg. to 47 deg.